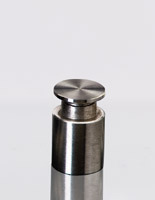 What makes these locking standoffs more secure than other hardware offered? The threaded tamper proof fasteners have a set screw in their design. They can only be manipulated with the appropriate Allen wrench, making it difficult for anyone else to steal or damage the signage. 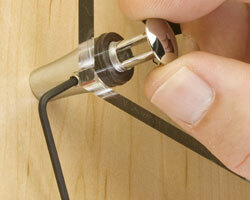 Locking standoffs that have special screws for security are needed for signs placed in busy locations. The metal tamper proof fasteners prevent the signage from begin removed. Sign hardware is stylish and affordable for the perfect accent to any interior design. The locking standoffs, such as tamper proof fasteners, offer no worries regarding signs being knocked over or falling of the wall because they are secure and able to hold thick, heavy signage. Threaded hardware is also a great idea to hang artwork in a gallery or special pieces at home. What styles are available in the tamper proof fasteners? 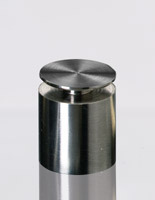 These locking standoffs com in many finishes, such as satin, chrome or Venetian brass. The supplies in this category come in small and large dimensions for different exhibition options. The standoffs can hold your award as close to the wall as .5” and may distance it as much as over 1” from the wall. Interesting shapes are also able to be purchased. Order the mounts in square, triangular, or tapered shapes as well as round. All of the locking hardware shares the quality of having the set screw that can only be tightened with the appropriate Allen wrench and of having durable stainless steel or brass construction. As long as your company's employees or customers don't walk around carrying sets of tools, your certificate should be secure. A circular or round shape is the typical look companies expect framing accessories to have. If your business has more traditional décor, then this may be the kind of fixture for you. 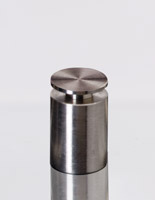 The round mount comes in three diameters for the bright metal variety and in two sizes for the satin type. Both have a great classic look to them and blend in with many settings. These tools also come in varying lengths, which allow for certificates to be mounted closer or farther from the wall, depending on what your company prefers. It really depends on how much you want the plaque to stand out and grab the attention of those that walk by it. Where might this locking hardware be used? The next kind of bracket for custom displays is interesting shapes and finishes. Even if your business isn't looking for an anti-theft suspension tool, the look of these fixtures may cause your company to use them anyway. These spacers come in square, triangular, and tapered barrels to offer stylish looks for all types of signs. Different sizes are sold for the chance to hold glass or wooden signage of varying thickness. The finishes are what make the threaded hardware special. The triangle and square shapes are able to be purchased in the bushed silver, chrome, and satin silver, while the barrel comes in chrome and Venetian brass. The anti-theft design in stainless steel or brass is really ideal for indoor spaces that see a large amount of people traffic, especially public locations. These spacers are versatile enough to blend into any environment, but they will also add style to anywhere they are placed. 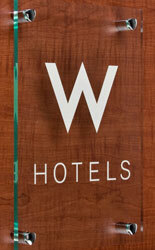 In addition, because the custom fixtures come in different sizes, they can accommodate different signs. Smaller units can be used to hang glass plates next to classrooms for identification and larger parts are great for company signage in lobbies. Because both of these areas are public and may see a large amount of people traffic of people, these secure accessories are ideal. The multiple sizes of these secure mounts will also allow for consistency while preventing tampering. Places like hospitals and museums that may have many different signs with many different sizes will find these supplies ideal. They help keep a uniform appearance, while being very stylish, and they will prevent damage.